This is my first time owning a mixed fiber brush and in this thread I will document the break in process and any observations I make while using it. The knot is 26mm and composed of 70% two band finest badger bristles and 30 boar bristles. On the first defunking lather this knot lost at least 30 bristles. On the second and third maybe half a dozen each time. Before this shave (its fourth lathering) I combed it out and it didn't lose any. 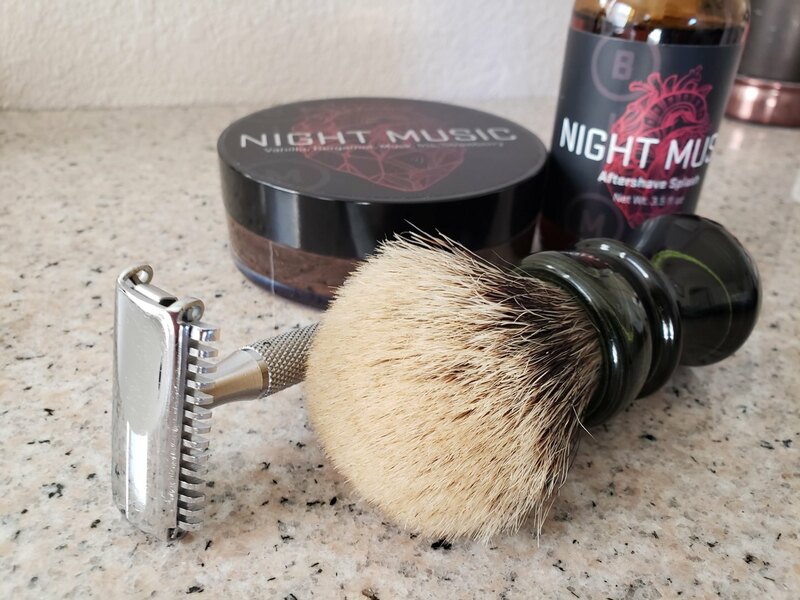 I so far I find that the boar adds a good bit of backbone to the brush and it can really dig into a soft soap if you aren't careful. There is a bit of scritch but I expect that to dissipate as the boar bristles continue to break in. I’ll be watching! I own three of these knots and love them. Me too. I don't have any mixed knots. My curiosity is peaked. Thanks for posting this. I've been curious about mixed knots. Just purchased a Semogue 1305 Boar and almost added one of their mixed knots to my order. Held off. Eager to hear more! I have the semogue and it’s fantastic! Never owned one but this intrigued me. Look forward to your reports. It’s a beautiful looking brush BTW. (01-27-2019, 11:27 PM)mdwolfie86 Wrote: Never owned one but this intrigued me. Look forward to your reports. It’s a beautiful looking brush BTW. 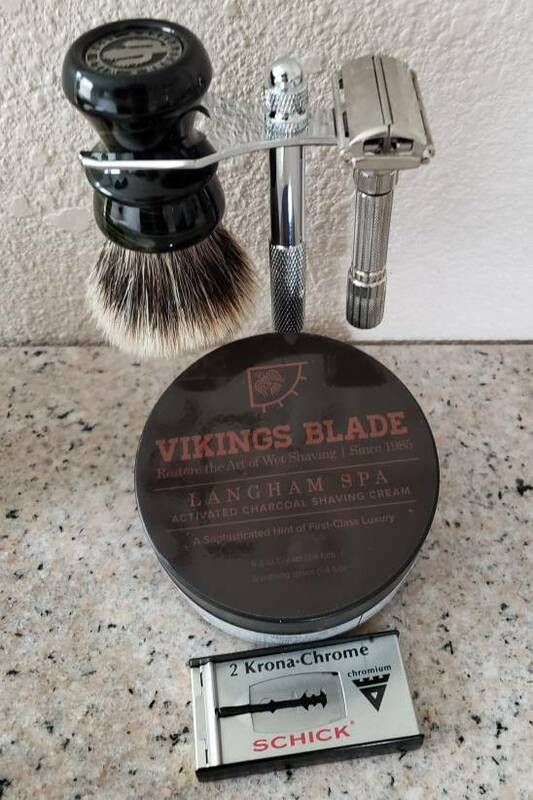 Viking Blades Langham Spa activated charcoal shavecream. Another shave with the mixed knot this morning. Still has some scritch but I'm really loving the added backbone. Did some face lathering and it wasn't uncomfortable at all. No hairs lost. Thanks for the play by play of your new mixed knot as it breaks in, Andrew! By the way, that handle is really nice as well! Keep us posted! 2) Is it scritchier than a Simpson Pure Badger, or a Stirling Boar...or about equal?